Museum communication professionals have developed theories and knowledge about museum texts and institutional discourse. However, over the past decades, the digital revolution has brought about deep changes in our behavior with respect to written words in digital support. Such support can be found not only on the web (virtual museums and institutional websites), but also in exhibit facilities, through interactive interfaces, apps, QR Codes and other digital media that form our contemporary exhibits. This requires a change in current writing paradigms toward the best ways to impart knowledge in museums and over the Internet. Therefore, the various players responsible for museum texts (curators, museologists, historians etc.) are now required to master several previously non-existent skills. In this work we want to discuss writing in museums starting from digital support, both for the web and for interactive interfaces. We created writing guidelines based on new web writing techniques and current demands, without prejudice to the primary functions of a museum. As an example of our reflections, we intend to study the case of the Project “Wise Stones (Pedras Sabidas) Interactive Interface Accessible Circuit”, which is a roadmap consisting of accessible digital interfaces, exposed at the Mines and Metal Museum (MM Gerdau) in the City of Belo Horizonte, Brazil. This Project received an award from the Ibermuseums Program in 2016. In this work we analyze, therefore, the written production both of the project’s website and of the interactive interfaces’ content, exemplifying, through the Wise Stones Accessible Circuit, that which we define as “exhiwriting” (digital exhibition writing). This is a proposal of web writing principles for museums, encompassing the best writing practices for social media and for the web, without giving up the sophistication and depth required by museum communication, thus fulfilling our museums’ social function. Over the years, culture professionals have committed themselves to understanding how visitors interacted with the written word in museums. One of the findings was, for example, that, in an initial wall of text of an exhibit, the smallest paragraph will be read first, no matter where in the text’s layout it may be located (Serrel in Kirkwood, 2018). Museum exhibit designers and writers have dedicated decades of study to the compilation of such knowledge in excellent works on this topic (Serrel, 2015; Ravelli, 2006). It was so until, in the 21st century, disruptive technologies produced a digital revolution, which radically changed the relationship between museums and computers (Marty & Jones, 2008; Vaz, Fernandes & Veiga, 2018). That revolution had an impact on the production and consumption of textual information in museums and exhibits, giving rise to new fields of knowledge such as web writing and User Experience (UX) writing. Quick changes have been witnessed, especially over the last decade, thanks to the insertion of social media and the increased digital access, and such changes affect the social fabric, culture and museums. Virtual Museums and Cultural Blogs (Museus Virtuais e Blogs Culturais), in progress since 2018, which, at first, is an attempt to answer the following question: What are the web writing principles for museums, encompassing the best writing practices for social media and for the web, without giving up the sophistication and depth required by museum communication, fulfilling the museums’ social function? It also attempts to develop standards for museum web texts, which we call the Exhiwriting model. International Research Agreement: “IT for High-Complexity Museums” (Wise Stones Project/Projeto Pedras Sabidas). Developed between 2014 and 2018, it involved researchers and professors from the Federal University of Minas Gerais (UFMG, Brazil), Aveiro University (UA, Portugal), Bragança Polytechnical Institute (IPB, Portugal) and Mines and Metal Museum (MM Gerdau, Brazil). In this essay, therefore, we present the first results of the research work “Virtual Museums and Cultural Blogs” (section “Museum Text: Digital Revolution and Resistance”), involving the analysis of museum websites of two of Brazil’s main cities, as well as preliminary tests of the most important open-source software programs for online collections. After that, we discuss the issue of primarily technological and digital museum collections, with the case study of the Museum of Tomorrow (Museu do Amanhã), in Rio de Janeiro (section “Technological Museums: Immersion in the Digital Context”). We proceed with the results of the research in the item “Museums’ Digital Presence on the Web: an Important Aspect for Valuing Culture and Fighting against Fake News”. Finally, the next sections detail the Exhiwriting model’s proposal, applied to the “Wise Stones Project” case study. We conclude with a brief reflection on the works performed and their potential, as well as the challenges of conciliating the demands of the digital marketing with the social function of museums as institutions. The research work “Digital Museums: Brazilian Museums’ Websites” (Museus Digitais: Sites de Museus no Brasil), a subsection of the project “Virtual Museums and Cultural Blogs” (Museus Virtuais e Blogs Culturais), is an effort to collect information about all museum websites in Brazil’s historical/touristic and capital cities, selecting successful experiences currently under analysis to extract data that may be helpful in the construction of the Exhiwriting. This stage of the research had the participation of Museology students of the Federal University of Minas Gerais (UFMG), who classified the data collected and published the results on the web (Veiga, 2018). In the second (qualitative) stage, some websites were selected for a deeper analysis, with the focus on web writing, UX Writing and the museums’ web presence. That analysis consists of usability tests and interviews. The third (applied) stage is for inquiring into the most important Collection Management Systems (CMS) used by Brazilian museums, as well as testing the most suitable open-source options for online collection repositories. According to the statistical analysis of the results, 82% of the websites in SP and 97% in BH do not have a “blog” section. Even though most of them publish news, only a few presented dynamic content with some depth. As far as online collections are concerned, the situation is even more troubling, considering that only 33% of the websites in SP and 10% in BH feature any collection in their databases. How far this lack of commitment to the museums’ online presence is due to unfamiliarity, scarcity of funds or resistance, positive or negative, is still an open question. Figure 1: Online repository of the Indians Museum developed under Tainacan. Source: Tainacan, 2019. At the other end there is a complete immersion in the digital context, even to the point of some museums not having other collections but those of technological support for information. This is the case with the Museum of Tomorrow (Museu do Amanhã, 2018), an “experience museum” built for the Rio 2016 Summer Olympics. Designed by Santiago Calatrava, it has a collection consisting almost exclusively of digital support, providing about 2 thousand pages of text in interactive interfaces, animations, videos and games. The lack of artistic or historical collections, as well as the excess of elements available in the exhibits, have given rise to both fascination and criticism. Research works in progress have been attempting to measure the accessibility, engagement and fixation of knowledge provided by such digital exhibits. In a survey performed by the authors of this work at the museum in March 2016, under the International Research Agreement, one of the findings was that none of the museum’s facilities provided sign language translation, hindering the hearing-impaired visitors’ access to information. With respect to the exhibits’ sensorial and intellectual access to blind or visually impaired visitors, it was noticed that accessibility is low for spontaneous visits (even though many of the interfaces have audio content, they do not provide useful information to that public). That work has not yet been published, since it demands another visit to measure accessibility in its various dimensions also in the case of guided visits. 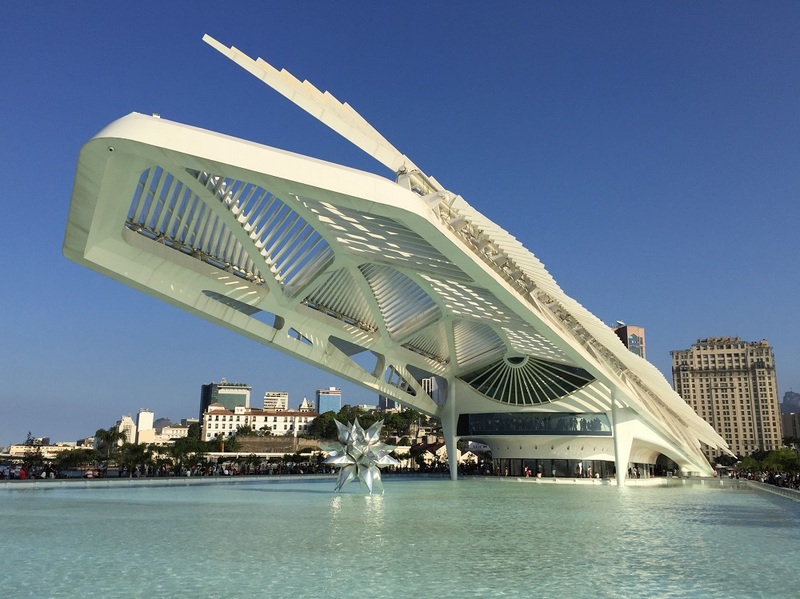 Despite the controversy, the Museum of Tomorrow (see Figure 2) is a “blockbuster”, reaching the place of most successful location in Brazil on Instagram during the year 2016, based on that social network’s geotags (Museu do Amanhã, 2018). The Museum of Tomorrow’s digital presence is one of our main case studies, with all the websites of museums in Rio de Janeiro under the process of being mapped. Figure 2: Museum of Tomorrow. Source: Photo by Ana Cecília Rocha Veiga. One of the aspects of that resistance against technological museums and digitalization lies in the fear of distortion of cultural values and ethical principles that should guide the museums’ social function. That leads to a widespread concern about such problems as consumerism, abusive marketing, addiction to technology, attention deficit caused by gadgets (Gilbert 2016, Center for Humane Technology, 2019), among other issues that affect not only museums but the rest of the world as well, such as fake news. Like other countries, such as the USA and France, Brazil has recently undergone a troubled electoral period, with much misinformation and cultural wars. Suspicion has been raised with respect to the participation of Cambridge Analytica in Brazil’s 2018 electoral campaign, and police investigations are under way regarding a multimillionaire scheme of illegal bots producing fake news via WhatsApp. But what does it all have to do with museums? Quite a lot, unfortunately, according to the report “Museums and Fake News: The 2018 Election” (Museus e Fake News: Eleições 2018; Veiga, 2018). This is a subsection of the project “Virtual Museums and Cultural Blogs”, which used tools developed by UFMG’s Social Communication Laboratory (Laboratório de Comunicação Social, Locus), as well as data from the Monitor of Political Debate in Digital Media of the University of São Paulo (Monitor do Debate Político no Meio Digital da Universidade de São Paulo, USP, Brazil). The Locus/UFMG “Fake News-Free Election Project” (Eleições sem Fake; Benevenuto, 2018) developed monitoring tools for social media, including message ranking, links, videos and images forwarded through Whatsapp politically-oriented public groups. LavMUSEU/UFMG (2019) had access to those tools, monitoring the museum-related content shared during the Brazilian 2018 election. After the survey, a massive occurrence of museum-related fake news was found. Malicious news had to do with two specific events. The first of them is the large-scale fire in Brazil’s “Mini-Louvre”: the National Museum of Rio de Janeiro (illustrated in Figure 3). Located in a century-old palace, it harbored about 20 million pieces, including the abundant collections of Brazil’s former royal family. 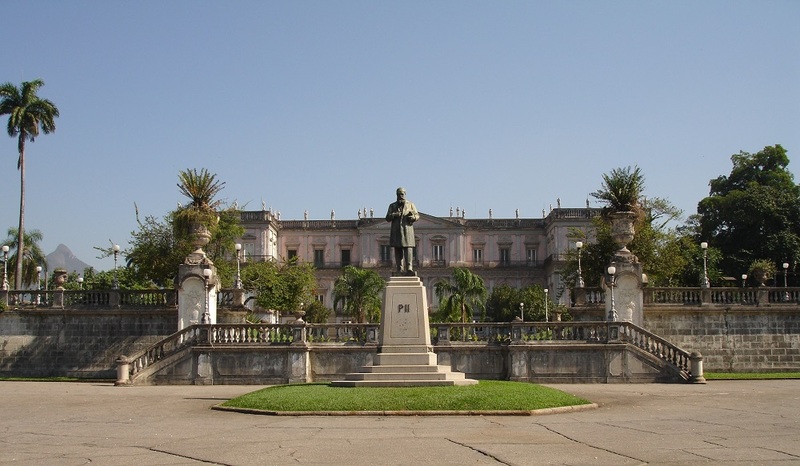 The fake news involved the museum’s funds, the responsibility for its poor condition and Brazil’s culture-funding laws. Figure 3: National Museum. Source: Photo by Ana Cecília Rocha Veiga. The second instance of fake news, as well as the most widely spread one, has to do with an artistic performance at São Paulo’s Modern Art Museum (MAM/SP, 2018), in which a male naked artist interacted with a multi-age audience. In both fake news attacks, the museums’ websites played an essential role in voicing the institutional version and were objects of our intense analysis. In the case of the National Museum, the website became a powerful instrument in the campaign for its reconstruction. In the case of MAM/SP, the museum’s blog was the official vehicle through which the institution’s position concerning the performance-related facts was made known, being widely spread over the social media. Even though the reach of the museum’s social media rarely compares to that of the fake news, they are a reliable source for the well-informed public, which includes professionals responsible for cultural policies and sponsors. Unfortunately, this is a small public, but one who makes decisions and consumes culture. Therefore, a public essential to the survival of Brazilian museums. In short, a well-structured digital presence in the internet is crucial for managing moments of crisis, giving authority to the museum and spreading facts against fake news. Web writing resources and digital marketing potentialize the reach of such information, as well as of the knowledge available at the museums’ websites. The reflections below result from the aforementioned research, especially with respect to the impact of the Internet and the social media on museums and on society. Old-fashioned texts used to begin with a metaphoric title, proceeding with a gradually constructed argumentation and culminating in the grand finale. Then came the Internet, consolidating radical changes in our reading habits and processes, no longer necessarily linear. Ambiguities are not well understood by Google and often web users do not read the entire texts, no matter what size they are. In short, be literal and start at the end. Capturing that behavior and translating it into best-practice rules has become a market niche: the digital marketing industry. It includes techniques and resources of web writing, UX writing, search engine optimization (SEO), content marketing, among others (Kilian, 2015; Krug, 2014; Rodrigues, 2014, 2019, Patel, 2019, Godin, 2019, Yoast SEO, 2019). Websites also attempt to adopt semantic web principles, setting forth a digital semantic model based on different ontological standards. In short, ensuring “the basic checklist of a modern website: responsive design, markup language, greater integration with social networks, broadcasting multimedia content etc.” (Pantoja, Docampo, Martín, Maturana & Navalón, 2016, paragraph 1). The question we have before us is, to what extent must the museum’s text yield to digital marketing imperatives? Even though the digital media affect our relationship with reading and even our brains, it is too early for conclusions. This is just the beginning of a process in which people are massively turning digital, but also one of deep reconsideration, as seen in the low tech schools of the Silicon Valley and in the movements of smartphone use reduction. The monopoly and the impact of social media upon society, as well as the googlization of the access to knowledge, demand intense reflection from museum professionals. It is common knowledge, for quite some time now, that the social media induce us to judge our identities by that which we share virtually (Keen, 2012). According to Turkle and Pontual (2016), we select the carefully edited content of our best moments, in an attempt to build a public virtual image that resembles our ideal, our best “ego”, having connection with many people without a real link or a deep conversation. That fragile bond may extend to ourselves: we do not tolerate creative idleness or the company of our own thoughts anymore. Science Magazine published a huge experiment that put together some young people sitting alone for fifteen minutes, without anybody else in the room or any distraction except for an electroshock machine. Two thirds of the boys and one fourth of the girls applied electroshocks to themselves to pass the time. One of the participants electrocuted himself 190 times (Presse, 2014; Turkle and Pontual, 2016). Such inability to remain with one’s full attention turned toward real life interferes in the enjoyment of museums, which seems not to make sense anymore unless it is shared. Various cultural institutions have been reviewing not only their policies of prohibiting photos due to selfies, but even the exhibit design: “For traditional museums, once photo-free zones, the rules are changing. Exhibits that photograph well are becoming a source of revenue for these institutions, so museums are increasingly forced to get on board with Instagram” (Sweeney, 2019, para. 8). There are, however, forms of catalyzing that tendency of interaction and sharing into a healthy, constructive and enriching way toward culture and society, such as the projects “Be Here” (2019), in the USA, and “People’s Museum” (Museu da Pessoa, 2019) in Brazil, where both famous and anonymous people build together the content of virtual museums, recording and publishing, through photos and testimonials, the history of a place and/or their own experiences. Even in the case of real-life museums, it is possible to integrate interests in a harmonic way, as done by the São Paulo Museum of Art (Museu de Arte de São Paulo, MASP), without interfering in the iconic building and in the historical museography (illustrated in Figure 4). Its European art collection is the most important one in the Southern Hemisphere, with over ten thousand works. MASP projects, on one of its walls, images published on Instagram with the museum’s hashtags. Rafael, Ingres, Van Gogh, Picasso and, now, the visitor too can play the leading role. Some wall texts of temporary exhibits already contain the hashtag, which is not only suggestive, but saves time and ensures a better ranking for the museum on the social media. MASP’s Instagram profile is, according to that museum, the greatest account of a museum in Brazil in number of likes, comments, engagement and posts. Almost all posts (95%) are reposted by followers, therefore most of the content is produced by the visitors themselves (MASP, 2019). Figure 4 – São Paulo Museum of Art, architectural and exhibit design by Lina Bo Bardi. Source: Photos by Morio (Wikipedia) and Ana Cecília Rocha Veiga. Like MASP, the most important museums of the world have a strong digital presence. However, does the presence of museums on the social media really contribute to instigate that system, which, for many thinkers, has eroded the social fabric as we know it? Should museums abandon such tools, as a form of resistance? Is it worth the effort to keep whole teams dedicated to the construction of content in a “strange land”, where their owners delete users, change algorithms and the rules of the game without previous notice? Folha de São Paulo, Brazil’s most important newspaper, left Facebook in 2018. Around the world, philosophers, journalists, intellectuals, academics, artists and even former high-rank employees of the chief social media have been deleting their profiles and/or publicly taking a stand against the commerce of the people’s attention, the dilution of the public sphere, the filtering by search engines, the polarization of society (stratified in bubbles), the culture of speed and surveillance capitalism (Zuboff, 2019; Habermas & Hermoso, 2018; Vaidhyanathan, 2018; Newport, 2016; Berg & Seeber, 2016; Lanier, 2018). However, considering the weakness of museums as institutions, which compete more and more with other forms of entertainment and struggle to financially subsist, we believe that ignoring the social media altogether is something that they cannot afford. In that sense, it is worth fighting for resistance and for an effective legislation as far as the Internet is concerned, but we can also hope that there is still a place for all text forms, including the traditional linear-reading book, (both printed and digital), which demands silence from the reader, who does not dialog with the text or take the lead, but plays a listening role instead. Therefore, our proposal is not a mere surrender to what is imposed by digital marketing, but rather emergency measures, since technological advances will continue and we must, at the same time, reflect and take action. In view of the discussion, the chief result of the research presented, in terms of web writing for museums, is a digital text model: Exhiwriting, especially the web model, which is the focus of this essay. Our suggestion is to build the content in layers (illustrated in Graph 1), wherein, the more superficial the layer is (directed to users with “weak” ties with the museum), the more subservient such content will be with respect to digital marketing rules. “Weak ties” is a reference to users that view the museum’s website for the first time, especially those who came by means of search engines or external links. It may also refer to people with low education level and/or scarce cultural habits (such as visiting museums, attending concerts, among others). “Strong ties” is a reference to people who often return to the museum’s website, frequent readers or visitors and museum professionals, people with high education level and/or individuals with good cultural background. In short: the greater the probability is of the user spending more time at the website, consuming it and understanding its content, the stronger the tie, according to this classification. That subservience relationship to digital marketing tends to change with the deepening of the layers, until it contains “big and slow” texts (Birchall & Faherty, 2016). 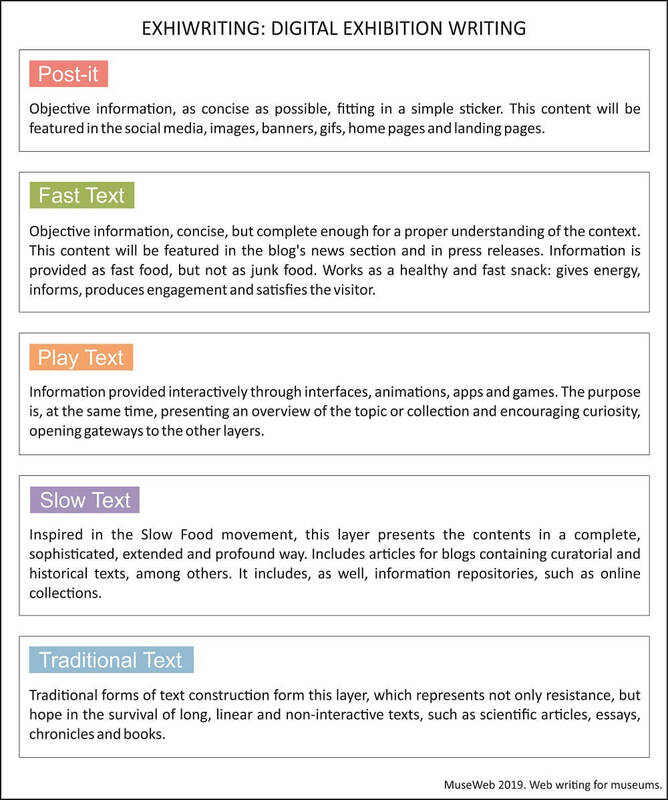 Graph 1: Exhiwriting (digital exhibition writing): Content in layers. Source: the authors. What matters, in the case of websites, is structuring the textual approach according to the goal and the target group. However, sorting users and content is an inglorious task, even more on the web, where the lines are not so precisely drawn as in the printed media. A clear definition of text types cannot be provided, since various characteristics can be present in the same online resource, disfavoring a static taxonomy, as shown by Urbaneja (2018). Assuming, therefore, that we are not dealing with a fixed, but rather fluid structure, our proposal is shown in Diagram 1. Diagram 1: Exhiwriting (digital exhibition writing): Content in layers. Source: the authors. Each layer may use a wide range of tools and software programs that help in the development of texts for museum websites. One list of such tools, as well as of their potential, can be accessed at the web page of this article’s How-To Session, presented during the 2019 MuseWeb (Veiga, 2019). Next, we proceed to the development of the “Exhiwriting” web model, by means of the study of the “Wise Stones” case. The project “Wise Stones (Pedras Sabidas) Interactive Interface Accessible Circuit” is a roadmap consisting of four accessible digital interfaces, exposed permanently in the various floors of the Mines and Metal Museum (MM Gerdau) in the City of Belo Horizonte, Brazil. During the visit, which does not have to be previously scheduled, patrons can touch and handle multiple samples of original museum pieces interactively enhanced by audio information, texts, zoomed images of the samples and sign language, intended to provide access to all visitors, anytime. Noteworthy is the fact that the audio information was developed in collaboration with blind and visually impaired participants, who, during a focus group session, pointed out what they can sense while touching the geological samples. The project originated from the master’s work of one of the authors, Roberto Vaz (Portugal), in partnership with the laboratory LavMUSEU/UFMG, coordinated by Professor Ana Cecília Rocha Veiga (Brazil). The prototype (Figure 5), developed in the initial stage, had good acceptance from both normal-sighted and visually impaired visitors (Vaz, Fernandes & Veiga, 2016), furthering the development of an international joint effort for research between UFMG, the museum and the Bragança Polytechnic Institute (IPB), in Portugal, through Professor Paula Odete Fernandes. Figure 5: Wise Stones Interactive Interface; Roberto Vaz and a visually impaired person evaluating the interface. Source: Photo by Ana Cecília Rocha Veiga. The project then took international dimensions, bringing together, during 5 years, a team including over 30 professionals, government funds (through a culture-funding Brazilian law – Lei Rouanet) and private sponsors, having also received $ 10,000 from the Ibermuseums Program as an award in 2016. Since then, the prototype has become a pilot project (Vaz, Fernandes & Veiga, 2018) to establish itself, afterwards, as an Interactive Circuit and a Visitation Roadmap, incorporating accessible technological attractions already existing at the institution. The result of this work was published in a website, an e-book (PDF) and a printed guidebook (Wise Stones Website, 2018), illustrated in Figure 6. This is the first application of the Exhiwriting model as proposed here. Figure 6: Wise Stones (Pedras Sabidas) Accessible Circuit. Source: Photo by Ana Cecília Rocha Veiga. The process occurred in a similar way, both for the preparation of the texts/audio of the interactive interfaces, as well as for the guidebook: a coordinator was appointed, who wrote the text according to the guidelines defined by the objectives of that stage. After that, those texts were revised by experts of the applicable areas, including IT and accessibility. After that wide collaborative construction, the texts were submitted to tests until they reached their final form, which continues to undergo assessments and improvements. Before the narration in the studio, the project’s and the museum’s team simulated the interface’s operation, by means of loud reading. After some adjustments, the text was recorded and the interfaces were tested with dozens of visitors during the various stages of the project. Volunteers, then, answered an evaluation questionnaire, the results of which were described in detail in the works listed in the references. From that process, changes were made, starting with the change in the support for media exhibition (first a projector, then replaced by a TV) all the way to the content itself. For example, post-use evaluations have shown that the narration of the exhibit Fossilized Wood was not enlightening enough for persons with complete vision loss. 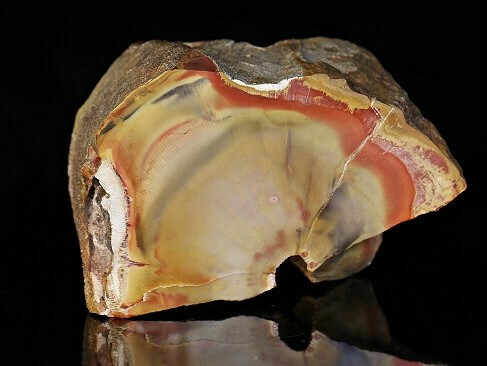 Fossilized wood, also known as petrified wood (illustrated in Figure 7), is formed when the wood’s original cellulose is replaced with mineral substances over time. The sample has the texture of a piece of wood, but is cold as a mineral, confusing the visually impaired. The narrated text was, then, rewritten and re-recorded, in order to better clarify the transformation process of wood into mineral. This example ratifies the importance of prototypes and pilots, testing them with the target group, who has an active participation in all the stages of the project. Figure 7 – Fossilized wood. Source: Photo by Leonardo Miranda. With the exhibits in full operation since the end of 2018 (illustrated in Figure 8), the museum’s next challenge is to perform evaluation tests, over time, of the main aspects of usability, such as user control and freedom, consistency and standards, error prevention, flexibility and efficiency of use, aesthetic and minimalist design, diagnose and error recovery, among others (Vaz, Coelho & Freitas, 2019). Figure 8 – Video of the Wise Stones interactive interface. Post-it: First page of the Wise Stones website and social media of the museum, university and partners. The Home Page’s purpose is introducing visitors to the Mines and Metal Museum and to the Wise Stones Circuit, encouraging them to visit the museum by means of a Visitor’s Guide. It also intends to present the Project to museum professionals, prompting the reading of the website’s content: the guidebook for implementation and development of accessible interactive interfaces in exhibits. Fast Text: We opted not to include a blog on the guidebook’s website, considering the low input of news, which would give the user the impression that the blog is outdated. Therefore, all new information about the project and the guidebook was published as updates of the blogs of LavMUSEU and the Mines and Metal Museum, in addition to releases in relevant channels, such as the newsletters of institutions like the Brazilian Museums Institute (IBRAM) or UFMG. A list for the clipping generated at this stage is available at the “Downloads and Links” section. Play Text: Texts written for interactive interfaces. Tests are in progress for the insertion of augmented reality texts at the museum. This new stage, associated with the research work “Virtual Museums and Cultural Blogs”, is an effort to independently study not only the Mines and Metal Museum, but other museums and exhibits in Belo Horizonte as well. Slow Text: Text of the guidebook itself, published in three formats: printed, free downloadable pdf e-book and website. On the website, our option was for the structure of the WordPress blog, dividing the chapters in posts, making navigation easier, among other semantic and SEO aspects. Traditional Text: Book chapters, scientific articles, long texts for blogs and other linear format content, published chiefly in electronic media and listed on the Wise Stones website under the “Downloads and Links” section. Table 1 – Detailing of the content of the Wise Stones Circuit’s website, according to the web text model for museums’ Exhiwriting. Source: the authors. Before its release, the website’s text was evaluated by 28 undergraduate Museology students at UFMG, who read the final online content, just before answering an online, open-ended and closed-book questionnaire. That questionnaire evaluated how much of the content was assimilated and understood. Students had also the opportunity to anonymously give their opinion about the project and the guidebook’s web design, using the contact form. After the test, students visited the Mines and Metal Museum. The results of that process were very positive, with excellent contributions to the project. When this article was published, according to data obtained from Google Analytics, the bounce rate of the Wise Stones website (illustrated in Figure 9) was 45% and the length of stay was 9 minutes, excellent results when we take into consideration that the website’s content is portable and many opt for reading it after downloading the e-book. Figure 9 – Wise Stones Website Screenshot. The project’s website was released at the end of 2018, with the Wise Stones Accessible Circuit. From then on, the interfaces and the website, which is still active and updated, will undergo validation tests. In addition to the qualitative analysis, the website will continue to be evaluated under the standards of digital marketing for the next years: number of viewers, length of stay on the website, bounce rate, conversion rate (newsletter subscription), among others. The increase (or decrease) in the number of disabled persons at the museum’s facilities will also be observed, within the analysis of audience and activities of the educational sector. The Exhiwriting model will also be implemented in other websites for evaluation and improvement of the methodology, with the next case study being that of the MG Museums Web Portal (Portal Museus MG, Brazil), organized by the Museums System of the State of Minas Gerais. The MG Museums Web Portal (under construction, monitored by LavMUSEU/UFMG) is coordinated by the State Secretariat of Culture of Minas Gerais, which manages seven museums, in addition to supervising public policies applicable to over 400 museums under its jurisdiction. An Exhiwriting Template will be implemented on that blog, developed under WordPress by LavMUSEU, and training events will take place for the editorial staff of the web portal. This work presented a text model for museum websites under the title “Exhiwriting: a proposal of web writing principles for museums”, encompassing the best writing practices for social media and for the web, without giving up the sophistication and depth required by museum communication, thus fulfilling our museums’ social function. Our suggestion is to build the content in layers, wherein, the more superficial the layer is (directed to users with “weak” ties with the museum), the more subservient such content will be with respect to digital marketing rules. 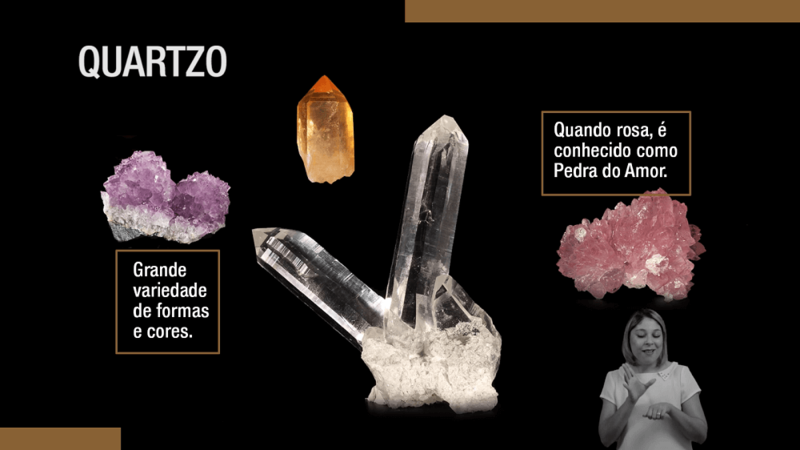 It also presented the first case applied under that model, i. e., the Project “Wise Stones (Pedras Sabidas) Interactive Interface Accessible Circuit”, which took place at the Mines and Metal Museum (MM Gerdau), in Brazil (2014-2018), receiving an award from the Ibermuseums Program in 2016. Based on the research described in this work, which validated the development of the project as proposed, we discussed the main issues resulting from the use of the Internet over the past decades. Despite that reality, we understand that museums cannot afford to ignore search engine optimization and the social media, considering the present weakness in the competition for funding and against other forms of entertainment. In that sense, it is worth fighting for resistance and for an effective legislation as far as the Internet is concerned, but we can also hope that there is still a place for all text forms, including long-format ones, which demand exclusive and continued attention from the reader, who must play a silent and listening role and not a leading one. Therefore, our proposal is an attempt to combine resistance with survival through emergency measures, considering that technological advancements will not stop and we need, at the same time, reflection and action. The construction of this website model intends to bring the website viewer into a valuable and real-life experience made available by our museums. Berg, M.; Seeber, B. (2016). The Slow Professor: Challenging the Culture of Speed in the Academy. Toronto: University of Toronto Press. Gilbert, S. (2016). “Please Turn on Your Phone in the Museum: Cultural Institutions Learn to Love Selfies and Social Media.” The Atlantic 3:32–33. Keen, A. (2012). Digital Vertigo: How today’s online social revolution is dividing, diminishing and disorienting us. New York: St. Martin’s Press. Kilian, C. (2015). Writing for the Web. (SelfCounsel Writing Series). 5d ed. Bellingham, Wash.: SelfCounsel Press. Krug, S. (2014). Don’t Make Me Think, Revisited: A Common Sense Approach to Web Usability (Não me faça pensar, Atualizado: Uma abordagem de bom senso à usabilidade na web e mobile). Rio de Janeiro: Alta Books. Lanier, J. (2018). Ten arguments for deleting your social media accounts right now. London: The Bodley Head. Marty, P.., & Jones, K.. (2008). Museum informatics: People, information, and technology in museums. New York: Routledge. Newport, C. (2016) Deep Work: Rules for Focused Success in a Distracted World. New York: Grand Central Publishing. Ravelli, L. (2006). Museum Texts: Communication Frameworks. New York: Taylor & Francis e-Library. Serrell, B. (2015). Exhibit Labels: An Interpretive Approach. 2nd Ed. London: Rowman & Littlefield Publishers. Rodrigues, B. (2014). Webwriting: Redação para a mídia digital. São Paulo: Atlas. Rodrigues, B. (2019). Apostila do Curso Webwriting: Redação para a mídia digital. Belo Horizonte: Mercado Web Minas. Vaidhyanathan, S. (2018). Antisocial Media: How Facebook disconnects us and undermines democracy. New York: Oxford University Press. Vaz, R., Coelho, A. & Freitas, D. (2019). Technology Trend Monitoring: WebQuest on Usability and User Experience. In Museum Sector Alliance (Mu.SA) MOOC: Essential Digital Skills for Museum Professionals. Erasmus+ Programme of the European Union. Veiga, A.C. (2018). Museu e Fake News: Eleições 2018 (Museums and Fake News: The 2018 Election). UFMG: Relatório de pesquisa, 2018. Zuboff, S. (2019). The Age of Surveillance Capitalism: The Fight for a Human Future at the New Frontier of Power. London: Profile Books. Rocha Veiga, Ana Cecília, Vaz, Roberto and Fernandes, Paula Odete. "Web Writing for Museums: Analyzing Principles and Best Writing Practices for Digital Media through the “Wise Stones (Pedras Sabidas) Accessible Circuit” Case Study." MW19: MW 2019. Published January 14, 2019. Consulted .